I work with professionals who, while building a successful life, lost connection with joy & self-authenticity. I help passionate people integrate self-expression & creativity into life & work. 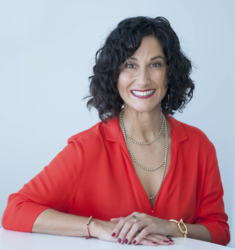 I am a mindful leadership coach working with successful professionals who, in the middle of building a successful career lost connection with their joy and authentic self. They have experienced feelings of emptiness, anxiety, or hopelessness, even though their life looks good “on paper”. Many feel like, somewhere on their path, they traded self-authenticity with practicality and as a result are left wondering, “is this all there is to life?”. Fear not - there is so much more to life. No one has to choose between responsibility and authenticity. Via mindfulness techniques, assessment of values, and a deep dive into limiting beliefs, I help my clients discover what is blocking them from a more meaningful and happier life and career. I do not believe in a one-size fits all process for my clients. Instead, I individualize my client’s coaching program based on their specific goals and needs using evidence-based skills and techniques. Before coaching, I was dedicated to neurological and psychological research for over 20 years and have a degree in biological psychology, which granted me a great appreciation of evidence-based skills and concepts. I now combine evidence-based strategies with effective coaching skills to help my clients achieve their goals, gain clarity on what authentically drives them toward a more fulfilling and meaningful life. In addition to individual coaching I also support corporate teams with workshops on leadership, communication and authenticity in the workplace. Have you worked with Erika? Tell your friends! In working with Erika as my coach, I have been able to more fully understand how to find joy in the experiences I encounter. Erika has enabled and encouraged me to align my decision-making with my personal values, set boundaries and do so in my personal and professional life. Her support has helped me look inward, think about my personal values and make choices that align with my belief systems. This has also allowed me to gain a different perspective on my interactions with those in my personal and professional life. I am truly grateful to Erika and highly recommend her coaching. Erika's open mind, calmness, mindfulness, her true understanding and heart was an undeniable comfortable, motivational and inspiring during this whole process. So I never hesitate to have her on my "speed dial."! Erika's insights and way of thinking always takes you towards seeking who you really are and who you want to become in such an effortless, caring and loving way with joy and compassion. Thank you Erika you make an impact of difference in my world!!!" Erika hasn't submitted any articles.